Apple recently filed a new patent application (us20080122796ki). On more than 370 pages lots of new potential features and enhancements for IPhone’s hardware and software are described. The most interesting Hardware part is a GPS receiver and a camera for video conferencing. 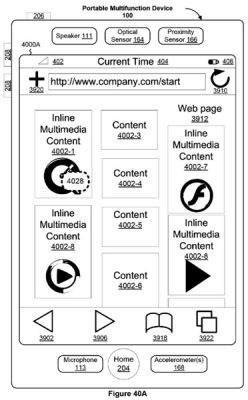 On a software level, Apple describes addition of a text messaging (chat), in-line multimedia content (Quicktime and Flash) in the Safari browser. Further welcome additions described in the publication would include a dedicated blogging client, Java software downloads, MMS picture and video messaging, support for voice-activated commands, audio capture, video conferencing and more. There are so many posts everywhere on the internet about Skype and the IPhone. On each IPhone forum it is possible to find something similar to "Is there a version of Skype for the IPhone?". And the answer was NO. There are some workarounds, but it's not what users want. However there is a great possibility, that all IPhone users will hear quite soon "YES there is Skype for the IPhone". Skype announced a beta mobile version. It will be possible to chat, receive and make calls to Skype users and more. And it was written in... Yes, Java. So when Java will be avaliable for the IPhone all the users will be able to use Skype. More information about Skype Mobile can be found here. You can find out more about iphone development at Oysterlabs. 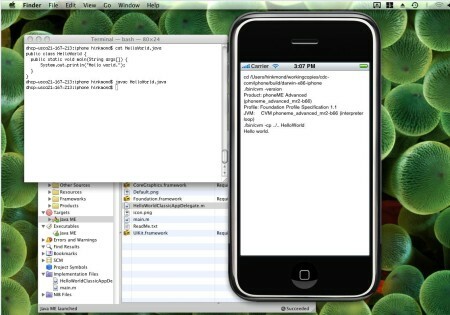 This is the simpliest Java application running on the IPhone simulator. The only thing this application does is it prints "Hello world.". Well done! The whole world is looking forward to see more. 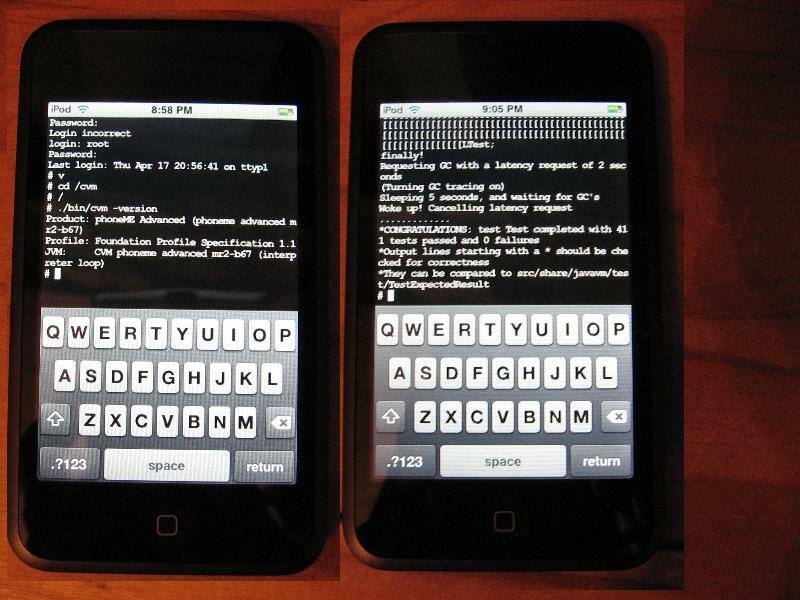 There are two ways to enable Java applications run on the IPhone. The first one is to port Java to IPhone, and this is preferrable The second way is to create automatic Java to IPhone porting solution for individual applications. A company called Innaworks announced an interesting product called alcheMo. 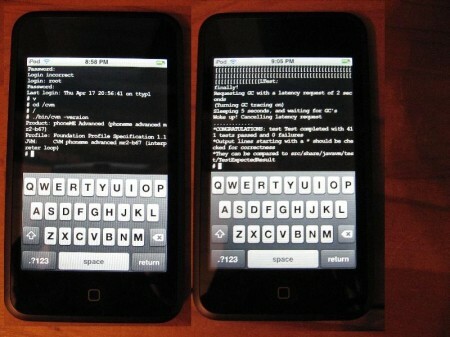 alcheMo is an automated system to port J2ME application to a native platform such as BREW and IPhone. 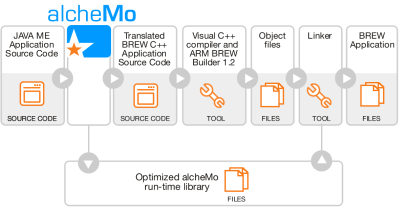 alcheMo technology is basically J2ME to C++ translator and the run-time library. It converts Java application to C++ application, which can be compiled, run and debugged. Using native run-time libraries the native executable is created. The alcheMo run-time library provides equivalent functionality to those associated with J2ME, including support for automatic garbage collection, multi-threading and extensive subsets of CLDC 1.1 and MIDP 2.0, and extension JSRs. There are several examples of porting games to BREW platform. Hopefully there will be some for the IPhone in the near future. For now alcheMo is in beta state, potential developers are invited to join. By the way, alcheMo for iPhone supports the accelerometer, the touch screen and other unique iPhone features, through standard MIDP 2.0 API, JSR-256, and, where necessary, extension APIs. If J2ME application uses such APIs, it will automatically and immediately be accelerometer or touch screen capable on iPhone. 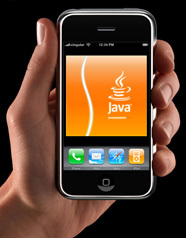 We are all waiting too see Java logo on our IPhones. I do too. But... there are obstacles and restrictions. The main point is that Sun really wants see Java on the IPhone. Community wants to see it. Large companies want to be able to create Java based applications. This is a huge market. However there will be probably no Java if Apple doesn't want it to be. That's what I've heard from a vice president of Sun Microsystems. The good news is that Sun wants to be ready with Java for the IPhone in case of everything will go well. So I assume there are investigations and probably some development going on already. And of ofcourse lawers are working hard too . So what about Apple? Apple will be able to make money with Java. There is a huge market and big money. Enterprise solutions, regular applications and etc. Everybody will benefit from it. We'll see quite soon, what will happen. Eric Klein, vice president of Sun Microsystems, Java Marketing anounced that Sun will be developing a Java VM for the Apple's IPhone. This JVM will be based on Java Micro Edition and will allow IPhone to launch thousands of existing and new Java applications. "Once our JVM is on the phone, we anticipate that a large number of Java applications would run on the phone," Klein said. It took 24 hours for Sun to analyze the licence and information Apple had provided with IPhone's SDK. Release date is planned some time after June 2008. Download the official recordings: audio - mp3 (335 kb), video - mp4 (4.9 mb).